Have you found an online vendor selling Mezan Guyana 2003? 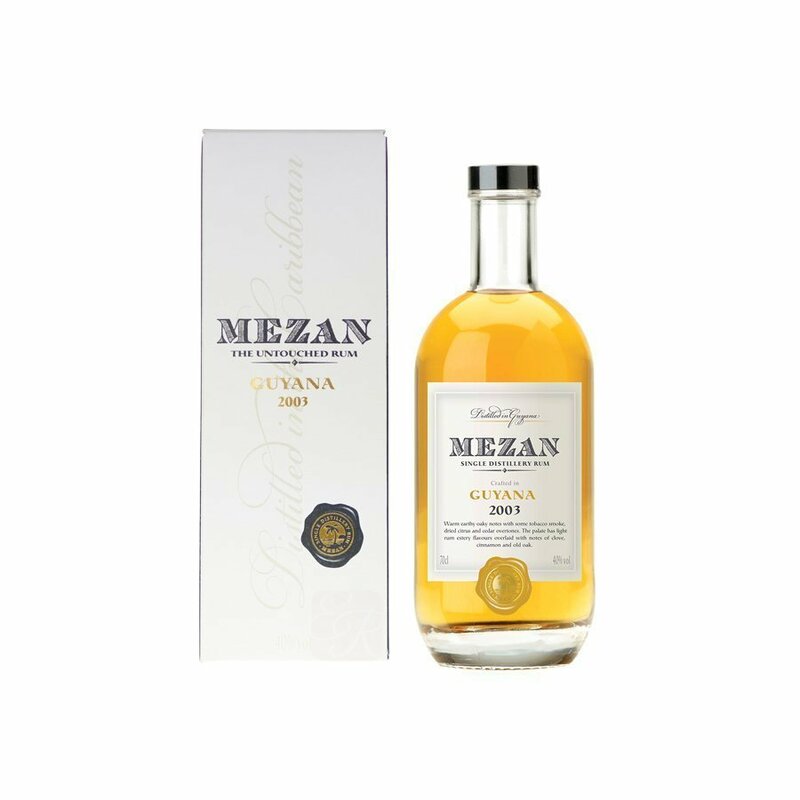 I have tried several Mezan rums, and usually they are rather good, but the Mezan Guyana 2003 edition is very dry, has a rubbery smell to it, looks almost like a silver rum on color, has a very weird floral rubber taste to it finished with a strong burn. Superb straw color very clear with floral notes, vegetable, apple, pear and a little woody. In the mouth, the pear takes the top delicately and subtly. A beautiful rum not very long but all in fineness.